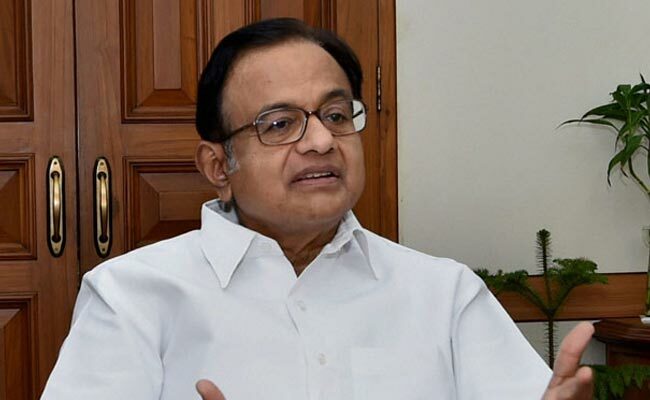 New Delhi: Former finance minister P Chidambaram today used the Reserve Bank of India figures to lash out at it, saying one per cent of the demonetised notes not coming back to the central bank was a "shame on RBI". He also questioned the Narendra Modi government whether its demonetisation decision was designed to convert black money into white. The Congress said the government utterly failed and 104 innocent lives were lost during the exercise and demanded an apology from the prime minister. "99% notes legally exchanged! Was demonetisation a scheme designed to convert black money into white?" Mr Chidambaram said on Twitter. The Congress leader said that the economists behind the demonetisation move "deserve Nobel prize" as the RBI gained Rs 16,000 crore, but lost Rs 21,000 crore in printing new notes. "Rs 16000 cr out of demonetised notes of Rs 1544,000 cr did not come back to RBI. That is 1%. Shame on RBI which 'recommended' demonetisation. "RBI 'gained' Rs 16000 crore, but 'lost' Rs 21000 crore in printing new notes! The economists deserve Nobel Prize," he said in a series of tweets. All but 1.4 per cent of the old Rs 1,000 notes have come back into the banking system post demonetisation, the RBI said in its annual report for 2016-17. Out of 632.6 crore pieces of Rs 1,000 currency notes in circulation, 8.9 crore have not been returned post the note ban last November, it said. Congress in-charge of communication department Randeep Surjewala said demonetisation is nothing but a "disaster" in which 104 innocent people were killed while 'corrupt' made 'windfall gains'. "Utterly failed #Demonetisation is nothing but a disaster in which 104 innocent people were killed while 'Corrupt' made 'Windfall Gains'. "Demonetisation Scam, not only dented institutional sanctity of RBI, but also credibility of India abroad.PM should apologise to the nation," he said in a series of tweets. He also said, "Rewind: Modiji's obfuscation exposed once again. On Ind. Day, PM claimed to have unearthed Rs 3 Lakh crore black money post demonetisation." The reality, he said, is that the RBI data released today proves only Rs 16000 crore out of the 15.44 lakh crore money in circulation came back and of this, Rs 9000 crore is still stuck. "Perspective: This Rs 16000 crore is just 1 pc of the total notes demonetised," he said. In another tweet, Mr Surjewala said, "Dr Manmohan Singh predicted that #Demonetisation will reduce GDP by 2% and it did. Only the Economy suffered due to this massive folly!"